I always enjoy trying to find new coins that represent some of our holidays and this year I luckily found a wonderful brand new set. Being a member of TEC allows me to also join the TEC Yahoo Group which is an easy way for members to communication with each other. 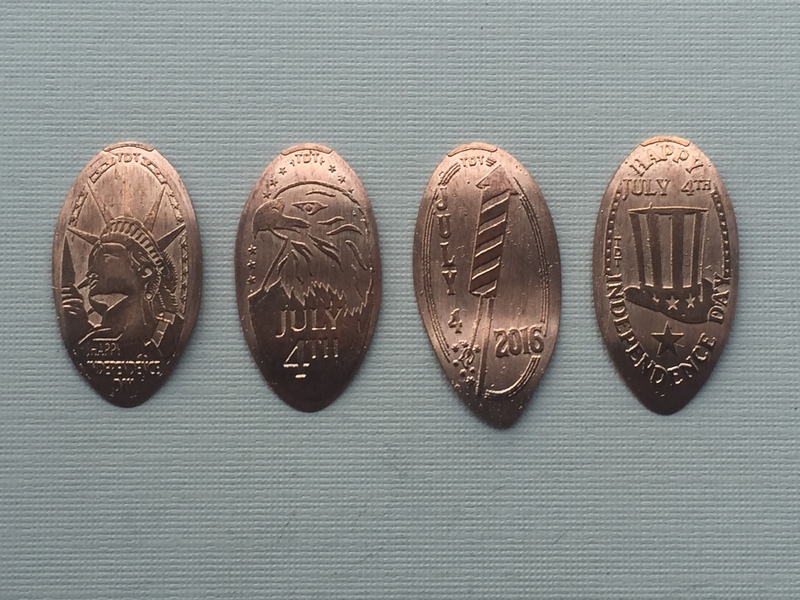 Sometimes tips are sent out, or missing coins get requested, and my favorite new unique pressed coins made available. This year Tyler Tyson put together this fantastic set of 4 designs. I opted to receive all 4 designs in a denominational set which just means you get them on pennies, nickels, dimes and quarters. Considering the hard work Tyler put into these sets the fee was very reasonable and I appreciate everything he did make these available. 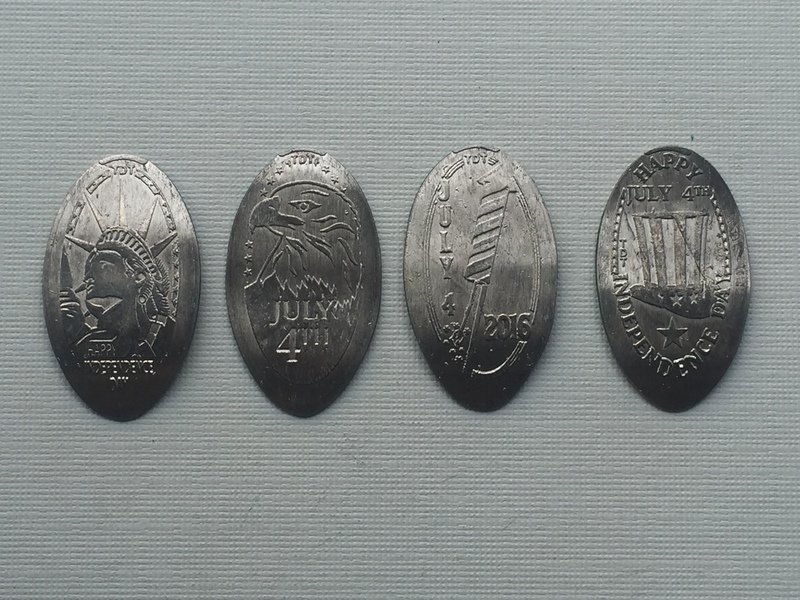 The designs include images of a Liberty Head Profile, Eagle Head, a Rocket, and Uncle Sam’s Top Hat. I wanted to make sure you could see all the detail so here are some close-ups. 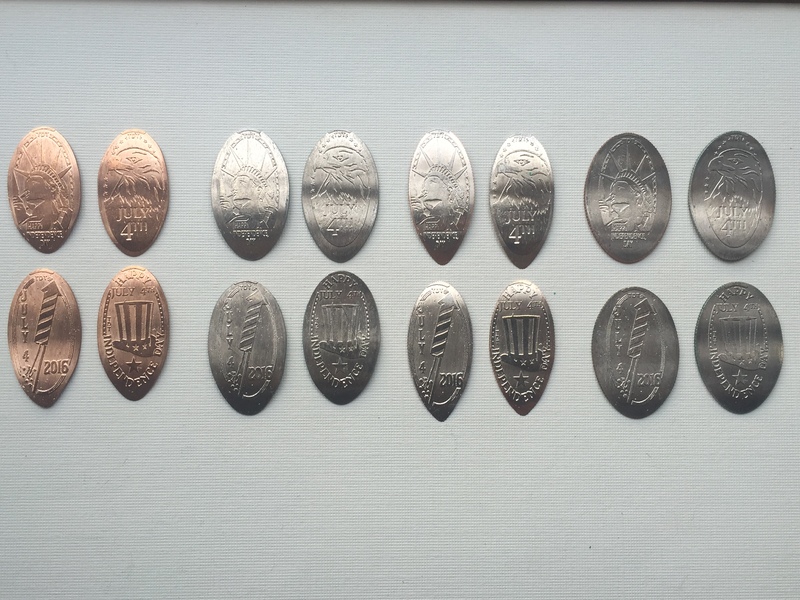 First is the set of Pennies. 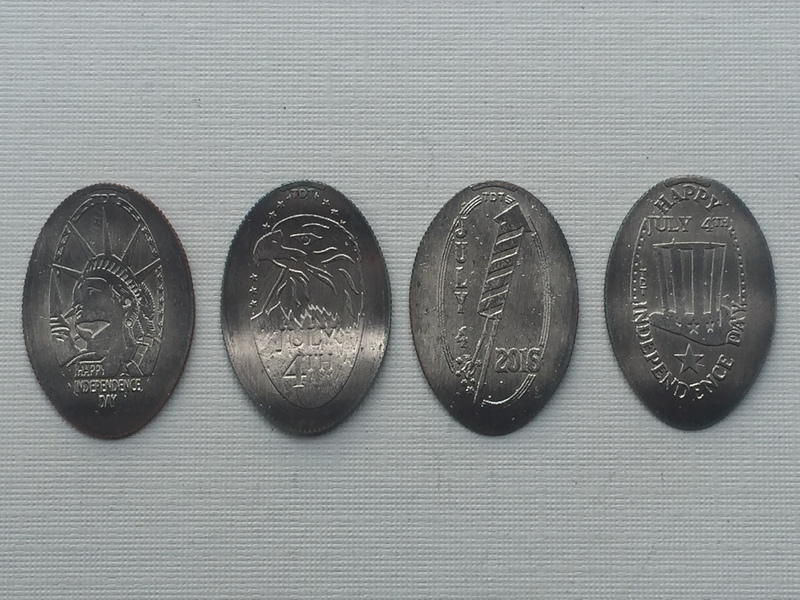 Here are the images pressed on Nickels. Rare to find pressed Dimes so I always get them when I can. 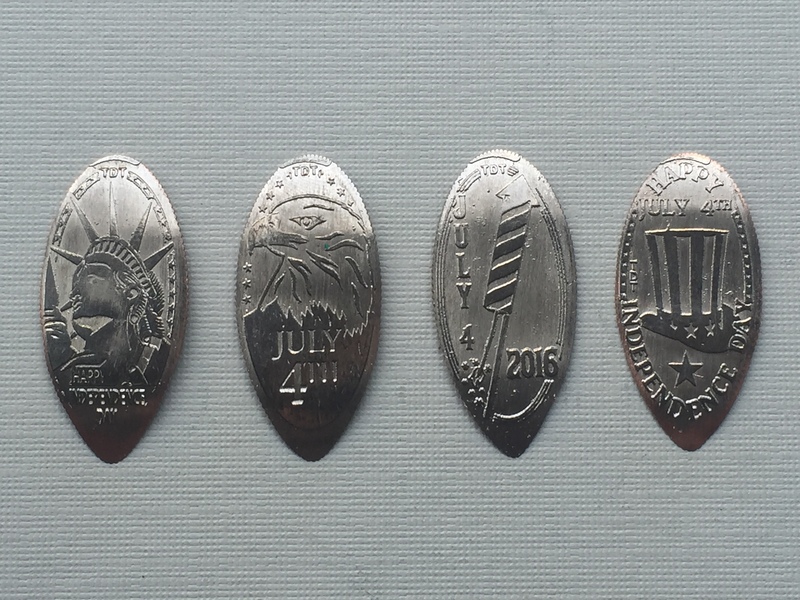 Last but certainly not least is the set of Quarters. I hope everyone has a great 4th of July and more importantly a safe holiday. Enjoy your time with family and friends with some great food and hopefully fireworks. If anyone needs me I’ll be in the pool enjoying the sun and some BBQ.